Friends and former colleagues say they wouldn’t be surprised if Holder returned to Covington & Burling where he spent years representing corporate clients, says NPR. 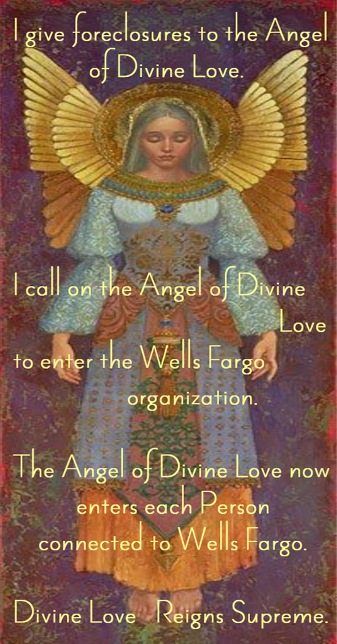 Among Covington & Burling clients are JP Morgan Chase, Wells Fargo, Citigroup and Bank of America. Lanny Breuer, who ran the criminal division for Holder’s Justice Department, has returned to Covington. In marketing materials Covington touted their “Litigation Department of the Year” award from American Lawyer, for getting clients accused of financial fraud off with slap-on-the-wrist fines. Eric Holder didn’t send a single banker to jail for the mortgage crisis. Is that justice? ~ Read more. Image Credits ~ Angel ~ by Christensen ~ View Hidden Ridge Gallery.